A long-runner that I've never previously got round to, this is an anthology horror series. 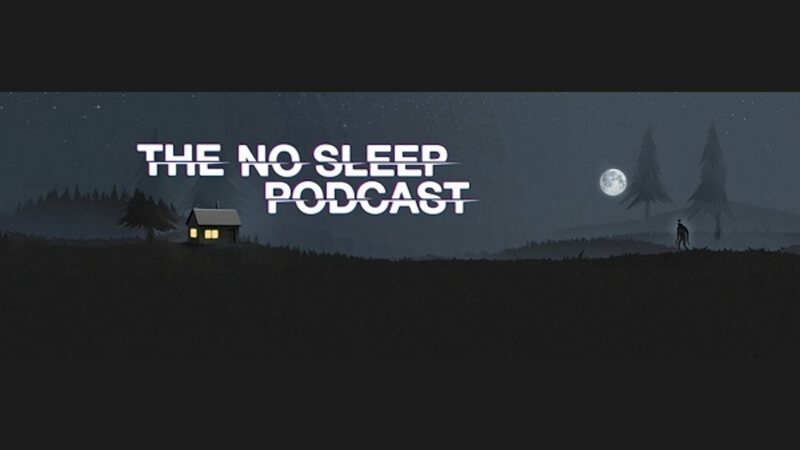 It's an unusual one, because it grew fairly organically out of Reddit, specifically, r/NoSleep, a subreddit which people used for posting their horror fiction (usually in a style that suggested it was a true experience, simply written down). That turned fairly quickly into the idea of someone reading them out in order to make a podcast, and it was so successful that it's currently on its 12th series. Part of that success is they've got to the point of being a paying market, by a clever combination of merch and season passes, with them producing about twice as much material as they freely release, and selling on the remainder. It's an excellent system for an anthology, as you don't create illwill by hiding plot-relevant aspects. It's difficult to review this as a piece, because really there are several different components that need to mesh together to create both its highs and lows. Since I'm listening to this prior to PodUK, thought I'd try new and old, so listened to the most recent and the first series. Can I suggest you don't necessarily do it in that order. They've obviously learnt a lot over the years, and going from the now very polished result to the shakier beginnings does not do those beginnings any favours. The most recent series is very well put together though. I was particularly fond of the Christmas special, which built an entire narrative around the telling of the stories, with pleasing silliness and a twist of nasty. The regular episodes are a bit more sedate, but still have a nice Crypt Keeper style setting-up device. Most of the performances are decent, though a few had a tendency to rush, which I think comes from the sheer number of people they've got doing voices. There's a core of dyed-in-the-wool voice actors who are often nicely fitted in to the works that are more multi-voice drama than story telling, and when these are held up against some of the less experienced voices, that does show somewhat. The anthology nature of the show means that the quality of the stories is going to vary. There's a LOT here, with each episode heading over an hour (the special is two and a half), and containing up to five stories. I've got no idea how many submissions they get, but part of me does suspect they could trim back a bit and be more selective. Granted, art is subjective, so it's possible everything will appeal to someone (and must have attracted the eye of the submissions team), but possibly the sheer length means the standards are occasionally lowered. Compare something like Pseudopod, which sticks to a single story an episode. In particular, I went back to the first series, and gave "Butcherface" a listen, which was apparently good enough that it got a special. It is not. Weird plotting, and rather stupid protagonists. But as I say, there's some good in here. Hell, there's some excellent in here. From the newest series, I loved Day 416, loved the Butter Street Hitchhiker, enjoyed Past the Bottom Step, which was sufficiently good that it got past the inherent cliche twist. And the Christmas special had a few corkers, including Pub Trivia as a nice drama, and The Ginger Dread Man, mostly because it kept fairly short and built quickly to the grim ending. In total, I think it's one worth dipping in and out of. Try and binge it, and the common tropes that tend to be overplayed in creepypasta really jump out at you. And if you're determined to listen through, start from the beginning. When you've had enough, jump ahead to the most recent series for the higher production values. I'm not likely to stick with it, mostly because my preference has drifted over the years from short-form to long-form, but if you are a fan of the anthology, it's worth giving it a try.